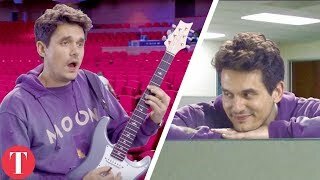 Hilarious moments from John Mayer's song "New Light" (premium content). Watch to se all the most hilarious moments from John Mayer's "New Light" video! Try not to laugh... we should couldn't keep from loling! You won't believe the backstory behind this video! Which part was your favorite? Let us know in the comments!